BLANCHARD, Okla. – From the time he was little, Blake Mindemann knew he was going to be a steer wrestler. After a lifetime of competing, Mindemann has qualified for the National Finals Rodeo for the first time in his 14-year ProRodeo career. He is 11th in the Professional Rodeo Cowboys Association world standings, having earned $78,092 through the regular season. It is, by far, his greatest season, but his mindset toward the game changed in the 2017 season while traveling the rodeo trail with NFR veterans Stockton Graves and J.D. Struxness. “I learned a lot from Stockton last year,” Mindemann said. “I was always worried about money and being broke, so I didn’t go as hard as I have the last two years. Stockton said that you can’t worry about stuff like that; you just go out and get it done, and it will pay off. He finished last year with more than $31,000 and 40th in the world standings. That helped propel him to this magnificent run through the 2018 campaign. The significant change from last year to this was traveling with two-time world champion Hunter Cure. That mindset has formed the Blanchard cowboy into a formidable foe when he arrives at the NFR, set for Dec. 6-15 in Las Vegas. Only the top 15 contestants on the money list in each event earn the right to compete for the biggest pay in the game through those 10 December nights. The key, though, has been Mindemann’s consistent performance over the regular season. Of course, it didn’t hurt that he had some solid stretches throughout the season that made a big difference. Yes, it was. But that is a drop in the bucket compared to what the NFR offers. It features a $10 million purse, and go-round winners will pocket more than $26,000 each of the 10 nights. A year ago, Tyler Pearson earned more than $155,000 in Las Vegas and walked away with the world championship. 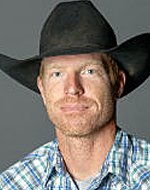 While he’s an NFR rookie, Mindemann will have an advantage over the others. 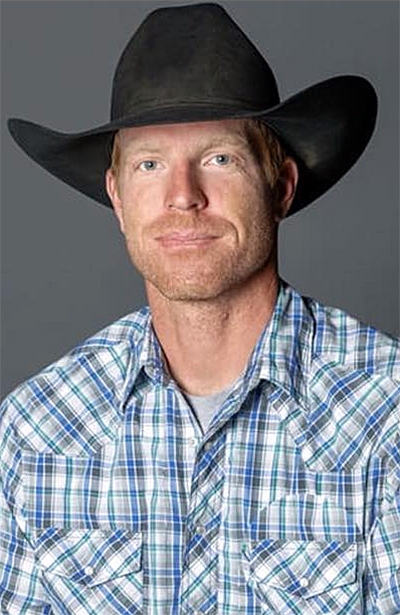 Not only will a world champion like Cure be in his corner, but the Oklahoman is leaning on experienced hazer Matt Reeves to help keep his steer heading in the right direction inside the Thomas & Mack Center. Reeves has not only hazed hundreds of runs in Vegas, he also is a six-time steer wrestling qualifier. He’ll also have Django, a 16-year-old gray horse that he plans to ride in Vegas. That’s been his main mount for about a year and a half. But there’s a lot more support behind the talented cowboy. Besides his sponsors – Best Ever Pads, Todds Hotshot & Oilfield Service, Panhandle and Rock and Roll Denim, 5D Hats and Leather, MDsave and Coil Chem – he also leans on his wife, Cynthia, and their three sons: Tyler, 16, Tucker, 9, and Brodie, 5. “They mean everything to me,” he said. “They are easily No. 1. I met my wife at the Cody (Wyo.) Night Rodeo when I was up there working one summer. We’ve been together ever since. That’s important, because rodeo cowboys are on the road for weeks – even months – at a time. This year marked the most he has ever been gone from the family for a stretch of time. Of course, winning seems to make the time go faster, and Mindemann did his fair share of that. In rodeo, cowboys must have all the physical attributes necessary to compete at a high level. Mindemann has them, something he carried through youth rodeo, high school rodeo and on to Vernon (Texas) College, where he competed on a rodeo scholarship. Now he’s understanding just how important the mental game comes when competing at a world-class level. That’s the perfect frame of mind as he sets his sites on the biggest prize in the game, the world champion’s Montana Silversmiths gold buckle.